The Estates At Monarch Beach community in Dana Point is located in the Monarch Beach area and is located next to the Links at Monarch Beach golf course. The homes are large in scale and are typically priced over $2 million dollars are commonly referred to as "The Estates." 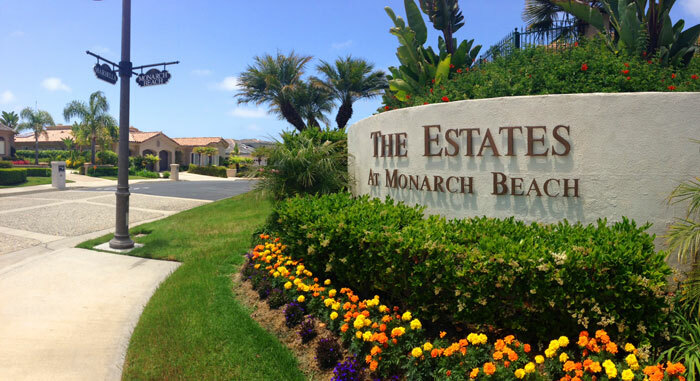 The community itself is located in the Master gated community of "Monarch Beach" which is home to several communities like Marquesa, and Montego at Monarch Beach. The Estates is the most expensive neighborhood in this gated community with homes located on 2 main streets that front the golf course as pictured below. 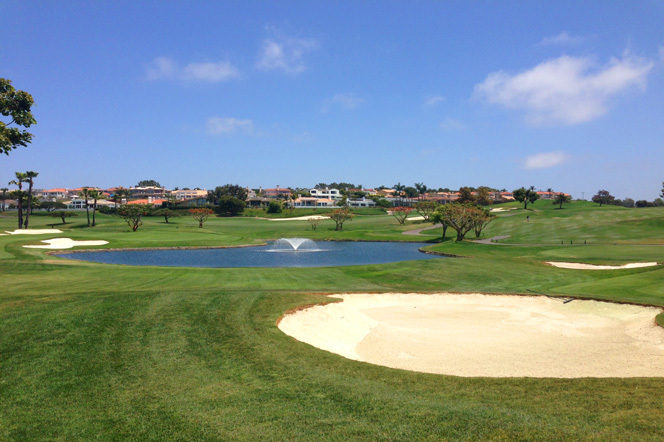 The homes have grand views of the ocean and golf course with close proximity to the beach. All the current available Estates at Monarch Beach homes for sale and for lease are listed below. Please contact us with questions regarding any of these properties. The dues in this community typically average $289 a month with another master association dues of $115 a month. The community is completely gated with access only through the guard gated entrance. Below are images of the community sign and golf course that fronts The Estates.